ChromoTek offers innovative research reagents based on camelid antibodies, which are devoid of light chains and have a single antigen recognizing domain. In the absence of light chains, the fragment-antigen-binding (fab) part of these antibodies is reduced to a single domain, the so called VHH (variable domain of heavy chain antibodies) domain or nanobody. This single domain contains a complete antigen binding site and is the smallest functional antigen binding fragment (around 15 kDa, only one tenth the size of a conventional antibody). ChromoTek's Nano-Boosters/Labels are very small, highly specific binding proteins. 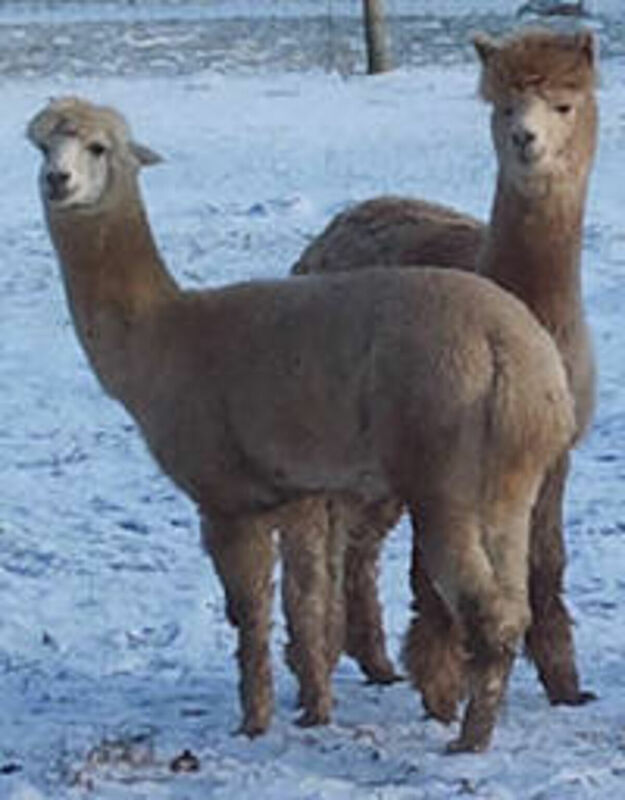 They are derived from single-domain alpaca antibody fragments termed VHHs or nanobodies which are covalently coupled to bright and stable fluorescent dyes. As these nanobodies are much smaller compared to conventional primary plus secondary antibodies (IgG complex), they are particularly suitable for effective labelling with minimal fluorophore displacement for super-resolution microscopy. While Nano-Boosters, e.g. GFP- and RFP-Booster, enhance the signal of fluorescent proteins, Nano-Labels, e.g. Vimentin-, Histone- and Spot-Label, fluorescently label proteins. Nano-Secondaries are secondary alpaca antibodies for higher resolution and better imaging, which are conjugated to Alexa Fluor® dyes. They can be used for Immunofluorescence, Super-resolution microscopy (SRM) and Western blot. As Nano-Secondaries are recombinantly produced, they are fully sequenced by design, which in combination with high QC standards ensures reliable and stable products virtually without batch-to-batch variation. As Nano-Secondaries are about 10 times smaller than conventional secondary IgG antibodies, they label primary antibodies with minimal fluorophore displacement, leading to higher resolution imaging. Furthermore, the secondary Nanobodies penetrate tissues better than conventional secondary antibodies. The first product in ChromoTek's Nano-Secondaries line is the Alpaca anti-rabbit IgG, conjugated to Alexa Fluor® 488, 568 or 647. This nanobody is a mixture of two monoclonal antibodies that recognize Fab and Fc fragments of rabbit IgG. ChromoTek's Chromobodies® are a novel species of extremely small intracellular functional antibodies. Chromobodies® are based on the antigen binding domain (VHH) derived from heavy chain antibodies of camelids genetically fused to a fluorescent protein (e.g.TagGFP or TagRFP from Evrogen). As opposed to conventional antibodies, these innovative fluorescent nanoprobes are suitable for real time analyses and can visualize endogenous cellular structures and processes in live cells. In addition to stable cell lines, you can also obtain a Chromobody® plasmid, which allows you to create your own cell lines or transiently express a Chromobody®. 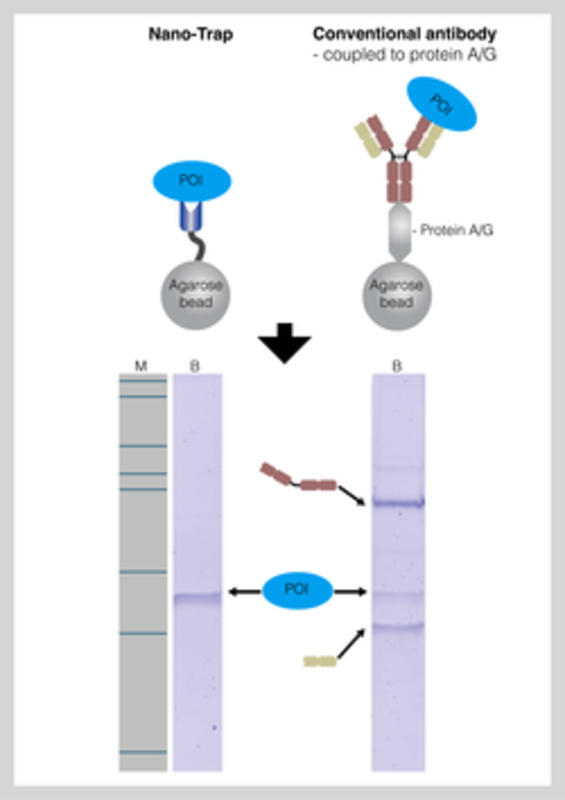 All Chromobody® binding domains are carefully selected to not interfere with endogenous protein function and offer the unique possibility to trace native proteins in living cells. Study protein-protein interactions (PPIs) in mammalian cells with ChromoTek's Fluorescent Two-Hybrid (F2H®) Technology in a fast and simple way by conventional fluorescence microscopy. The direct optical readout is optimal for high-content analysis (HCA) and screening for PPI inhibitors. The ChromoTek Spot-System is the first peptide-tag specific nanobody for universal capture and detection applications. It comprises Spot-Tag®, an inert 12 amino acid peptide-tag (PDRVRAVSHWSS), and the universal, rugged Spot-nanobody that specifically binds to Spot-tagged proteins with high affinity. 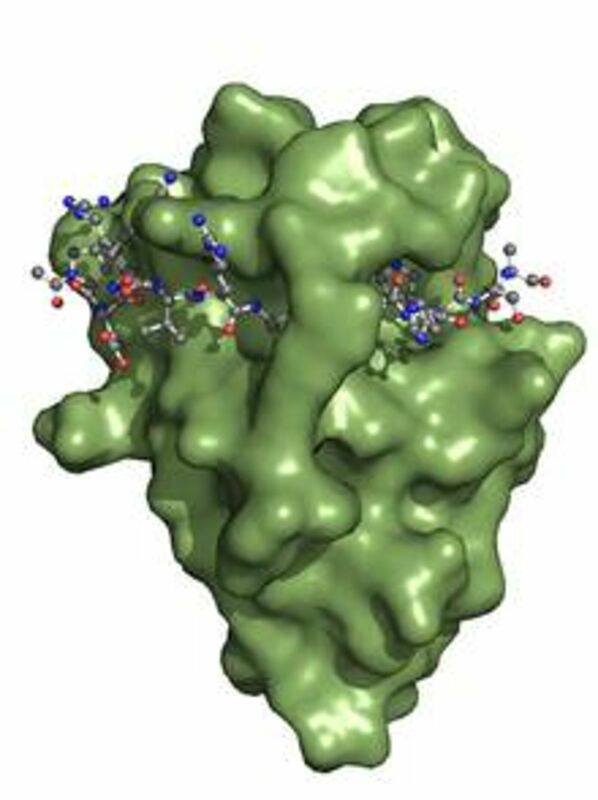 Image on the right: interaction of Spot-nanobody (green) with Spot peptide. ChromoTek's Spot-System can also be applied for CRISPR'ed Spot-Tags (see Brochures section for an application note). In addition, ChromoTek provides a growing number of exceptionally specific conventional antibodies.